Gwynedd is dramatically beautiful. Rugged, with famous, sky-scraping mountains and a jutting peninsula which alternates rocky headlands with beautiful scoops of beach. Many people come here without realising, just drawn to the challenges and magical scenery of Mount Snowdon and the Snowdonia National Park. Some even enjoy the variety of scaling the highest peak in England and Wales in the morning and resting their feet with a bit of a paddle on a beautiful sandy beach in the afternoon. Our recommendations for the best places to stay in Gwynedd are just as varied in their views. We’ve got some fantastic places to stay within Snowdonia National Park, coastal charmers, rural retreats and some great recommendations for families too. What we do especially love about Gwynedd, and we’re not alone in this, are the really big spectacular views, so the highlights on our list of the best places to stay in Gwynedd all have fantastic outlooks - even if they’re set within a town or village, for that really needn’t be a barrier in Gwynedd! Our list of the best places to stay in Gwynedd also favours a welcoming atmosphere and personalised touches. Gwynedd is well known for having a very strong Welsh identity - around 65% of people living in Gwynedd can speak Welsh, which is the largest percentage in Wales. And it’s not just the language, here traditional customs, cuisine and crafts are practiced and promoted, and it really adds to your experience if your hotel or B&B can help give you an introduction to these things. If you’ve never been, and never seen a photo it’s probably not unreasonable to suggest you imagining Snowdonia National Park as being a combination of the Lake District and the Alps? With long, serene lakes, steep waterfalls, plenty of heather and low scrub, and the odd castle and steam railway to put the scale of things into perspective. And all the signage in both English and Welsh - which makes it seem like they’ve added a little bit of Middle Earth into the mix as well. Walk, hike, climb, cycle, sail, canoe, kayak; watch ospreys, peregrines and buzzards; seek out the rare and protected Snowdon lily, the local salmon-like Gwyniad and red squirrels. As well as being a source of water and slate, this was the natural fortress for the rulers of the region and there are some fantastic true stories to uncover in Snowdonia. Around 500,000 people summit Snowdon each year. There are a number of routes, the most spectacular being the Crib Goch arête, but, as with all routes, you really have to watch the weather as it’s not uncommon for people to run into difficulties because of a flash change in weather. There are numerous other mountains to climb, but Tryfan is another popular one, looking like a giant, fossilised stegosaurus, and Cadair Idris is very popular too. Greener and more rolling than Snowdonia, the Llŷn Peninsula’s beauty rivals that of its famed neighbour the Pembrokeshire Coast National Park, with long stretches of sandy beach, smaller, delightful cove beaches and some fantastically dramatic cliffs, headlands and peaks. The largest beach is Worth Neigwl, between Abersoch and Aberdaron, but Llanbedrog and Nefyn also have larger beaches. And there are numerous smaller, yet still lovely, ones. And if you’re after spectacular views head for Mynydd Penarfynedd. There’s also a rather charming Welsh language and culture centre at Porth y Nant, which until recently as a hamlet you could only access by sea. Llŷn Peninsula is also known for its ancient earthworks. Pwllheli and Porthmadog are good places to start looking for accommodation on the Llŷn Peninsula. Gwynedd’s castles date from the 12th and 13th century when the Welsh resisted the rule of King John and Edward I. The impressive fortress Castell y Bere was the last stronghold of the Welsh Princes, and Dolbadarn and Dolwyddelan are also worth seeing. To see the other side of the fight visit Edward’s Harlech which looks threateningly across Tremadog Bay at the Welsh castle Criccieth. 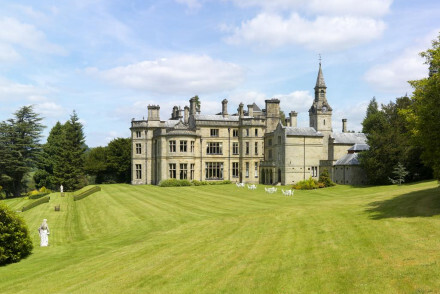 Gwynedd also has some beautiful National Trust properties, including Plas yn Rhiw, just to the east of Aberdaron, and Penrhyn Castle, which is a mock-Norman extravagance built in the 19th century. Just to the east of the castle are The Spinnies, a collection of excellent bird hides where you can frequently see egrets and kingfishers. Parc Glynllifon, a glorious estate close to Caernarfon is also worth a visit, for the amphitheatre and arboretum especially. And while you’re in the vicinity you might want to visit Caernarfon’s World Heritage Listed, 13th century castle, built by Edward I and costing 90% of the crown’s annual income, and now home to the Royal Welsh Fusiliers Museum. After that you might want to visit Caernarfon’s charming old fashioned pubs and museums. Plus, in this part of Wales 85% of local people speak Welsh. If you have children, or you’ve been a child, you might be familiar with the Railway Series of a certain Rev. W Awdry? Well anyone who’s a fan of steam railways will be very happy here, Gwynedd has a number to choose from, including the Talyllyn Railway, which is the inspiration for Skarloey’s narrow-gauge railway, the Snowdon Mountain Railway which climbs 3500 feet up Snowdon on the UK’s only rack-and-pinion railway, and the Ffestiniog Railway, the world’s oldest surfing narrow-gauge railway. For a family fun day-out go to GreenWood Forest Park. Only 3 miles from Caernarfon, it is an outdoor adventure centre beloved by kids: there's an eco-friendly rollercoaster, zip-wire, playbarn and you can do everything from archery to boat-rides. Bangor is the region’s largest city, but it still feels like a relatively small university town. This is where you’ll find the Gwynedd Museum and Art Gallery. Dolgellau is within the Snowdonia National Park, close to Cadair Idris, and an important centre for traditional Welsh music; and Portmeirion is pretty. Use our guide to the best places to stay in Gwynedd and start to plan your trip now. 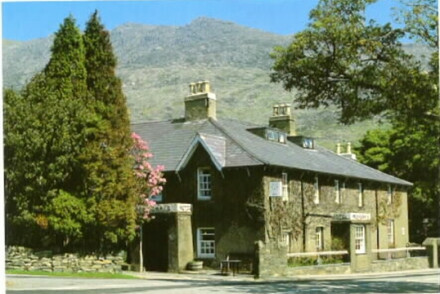 Pen-Y-Gwryd is a historic mountaineer's hotel in the heart of Snowdonia - right under the mountain itself. It offers cosy and unfussy rooms right by the mountains - perfect for hiking holidays. 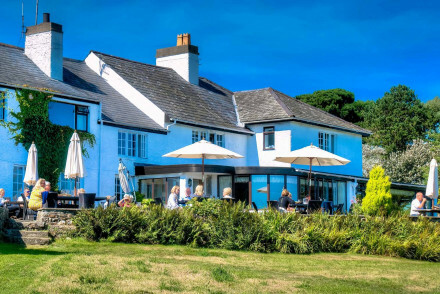 Penmaenuchaf Hall Hotel is a charming, 14 room establishment with comfortable rooms, an excellent restaurant and great access to the countryside of the Snowdonia National Park and the trout and salmon of the nearby Wnion. At the foot of Cadair Idris Mountain, the Cross Foxes is a small hotel of just six rooms. The decor is simple and contemporary and there’s an atmospheric bar and restaurant with a hearty menu. Rooms start from around £140 per night. The Slate Shed was originally a Victorian slate cutting mill that has been converted into a cycle and pet friendly B&B in the heart of Snowdonia. Eclectic interior furnishings and truly breathtaking views! The five rooms start from around £80 per night. Plas Bodegroes is an enchanting Georgian Manor on the Lleyn Peninsula, a stunning area of natural beauty. Offering understated country-chic rooms and a Michelin-starred restaurant, this is a lovely country escape. 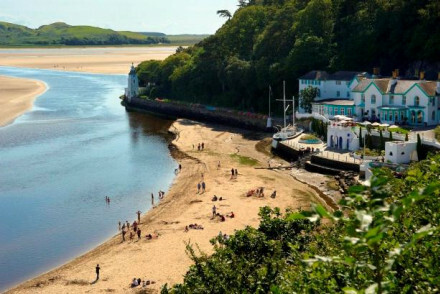 The Porth Tocyn Hotel is in a stunning spot overlooking the case and close to great surf beaches. There are 17 homely rooms, plus a great restaurant. Overlooking Cardigan Bay, at the foot of the Rhinog Mountains, Llwyndu Farmhouse is a cosy, private B&B. 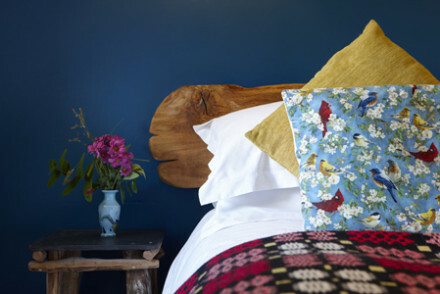 The seven rooms are quirky and comfortable and you’re surrounded by countryside ripe for walking. 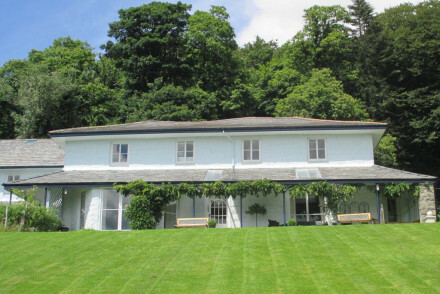 Ael y Bryn offers comfortable cream coloured accommodation and extensive gardens. Set in Snowdonia, there are a number of surrounding walking trails to explore whilst Royal St David's Golf Course is just a short distance away. Rooms start from around £70 per night. The Penhelig Arms is a picturesque, waterfront hotel in the hearts of Aberdovey, with 15 charming rooms and wonderful sea views. There’s an onsite bar with a cosy fireplace and a restaurant serving locally sourced Welsh produce. The Old Rectory on the Lake is a romantic hideaway on the shores of serene lake Tal-y-llyn in the southern part of Snowdonia National Park. There are just four traditionally dressed rooms, done in soft colours, with fireplaces and fourposter beds. And it’s adults only I’m afraid, kids. 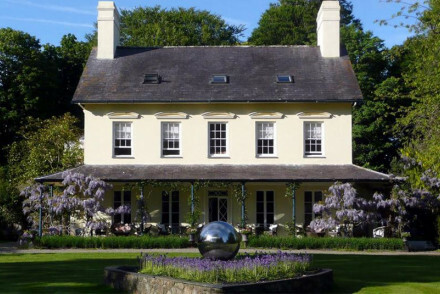 Plas Dinas is a charming country house standing in 15 acre grounds. There are ten majestically-decorated rooms featuring plenty of antique furniture, old family portraits and objet d'art littered. 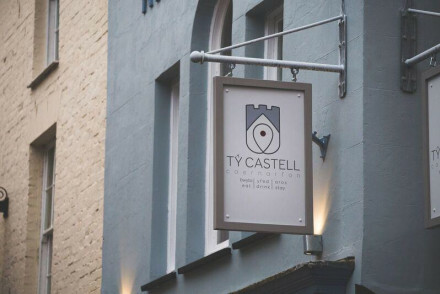 Ty Castell is a charming restaurant with 4 contemporary rooms in the heart of historic Caernarfon. All the rooms are light, with fireplaces and sash windows, and it’s all very comfortable and characterful. The Saracens Head is a boutique county pub in the picturesque Snowdonia village of Beddgelert. There are just 11 rooms, all simple, chic and contemporary, and a hearty restaurant menu and plenty of accompanying ales. 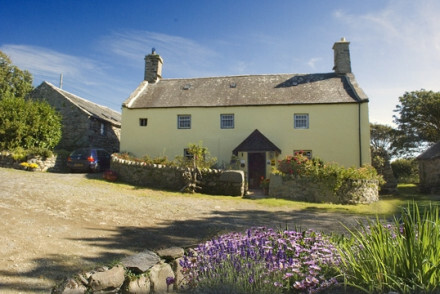 Dolffanog Fawr is a country house in a particularly beautiful spot by Llyn Mwgngil lake. 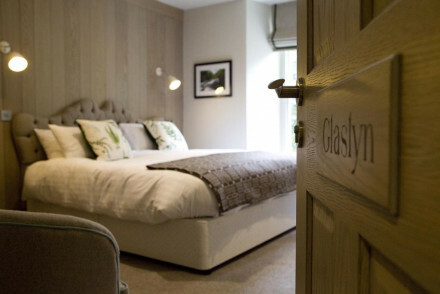 There are just four, individually styled, rooms with cosy fabrics and exposed stone walls. There’s also a sunny terrace - perfect for admiring the views. 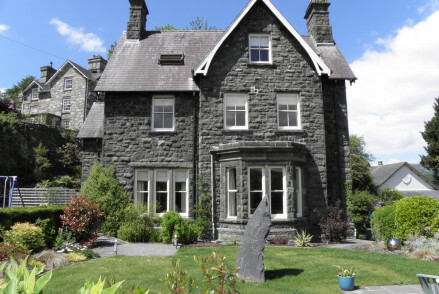 The Ffynnon Town House in Dolgellau is a five room boutique B&B with traditional features and contemporary decoration. There’s a cosy lounge with an honesty bar and open fireplaces. There are also plenty of games, books and DVDs. Seiont Manor Hotel is a beautiful country house hotel in pretty Caernarfon, on the edge of Snowdonia, with wonderful views from almost all of the 28 rooms - they all have a balcony or patio doors. 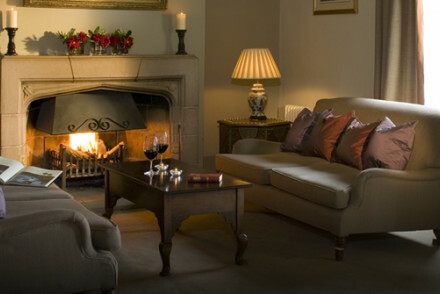 They also have a heated indoor pool, a great gourmet restaurant, a lounge with a fireplace and a lovely old library. Rooms start from around £70 per night. 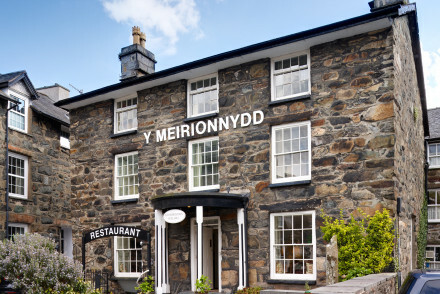 Y Meirionnydd is a quaint stay located in Snowdonia with Coed-y-Brenin's fantastic mountain biking just 8 miles away. Homely rooms and an atmospheric cellar restaurant with exposed stone walls and church pew seats. And rooms start from around £90 per night. If you’d prefer to stay in an apartment or private holiday let we recommend you visit our online partner, booking.com. Cardiff Airport is directly linked to around 50 destinations, including all the main airline hubs, but it’s also a fairly short distance from Manchester airport and Liverpool airport, which are just across the border, and Heathrow, which is only three hours by road. Alternatively there are good rail links to many Welsh destinations from continental Europe and the rest of the UK, and you can cross to and from Ireland on the ferry, which takes under two hours from Dublin. Spring is beautiful in Wales. If you enjoy a stroll, be it around a castle grounds, up a mountain or along a rocky peninsula, then the mild, dry weather of spring is a good time for it. Plus there are lambs and birdsong. Summer in Wales is also appealing, what with the golden beaches looking almost as good as the Med. under the summer sun. Autumn is great for walkers, with the colours adding to Wales’s dramatic views and welcoming pub lunches to come in for. Plus the castles are at their most moody and dramatic looking too. In winter you might need to walk more briskly, or up higher mountains, to keep you warm, but there’s always a welcoming fire burning somewhere and plenty of colourful Christmassy events to keep you in good cheer. Still not sure which is the best place to stay in Gwynedd for you? Refine your search to the best hotels in the Snowdonia National Park? Overlooking Cardigan Bay and at the foot of the Rhinog Mountains, Llwyndu Farmhouse is a cosy private hotel for Bed & Breakfast. The farmhouse provides comfortable accommodation in rooms full of character and quirkiness. Surrounded by natural beauty, this is ideal for the enthusiastic walker. Sights nearby - Ardudwy, north from Barmouth is rich in prehistoric and early settlements. Investigate burial chambers, forts and huts. Trekking - The Rhinogydd mountains just behind the farmhouse. Great walks - Enjoy stunning sunsets across Cardigan Bay. Local markets - Explore the nearby town of Harlech. 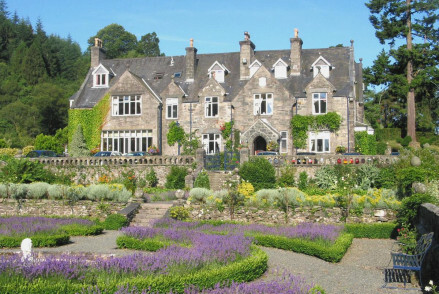 Country house hotel on the edge of Snowdonia National Park. Wonderful views especially on a clear day and all rooms boast either a balcony or patio doors. Enjoy outdoor pursuits and come back to delicious 2 AA Rosette dinners. Quiet B&B views of Cardigan Bay. Cream coloured rooms have wrought iron beds, large windows and pine furniture. Conservatory, library and extensive gardens. Evening meals are served in cosy dining room. For a peaceful weekend, this is a lovely choice. A charming restaurant with rooms in historic Caernarfon. Four beautifully styled rooms benefit from plenty of light flooding through the sash windows, open fireplaces and pops of colour coming from the Welsh tapestry bed spreads. With plenty to explore in the area this is the perfect weekend escape. Local exploring - Perfectly positioned to discover all Caernarfon and Snowdonia have to offer. Sights nearby - Visit the dramatic 13th century waterfront Caernarfon Castle, just steps away! Cycle and pet friendly B&B in the heart of Snowdonia. A converted Victorian slate cutting mill featuring an eclectic mix of custom-made and vintage furnishings. Fabulous views over the Mawddach Estuary and mountains. Views - Stunning views over the Mawddach Estuary. Restrictions on children - Over 10s only in the B&B. A luxury country house boasting glorious views across the picturesque countryside. Three individually styled rooms are traditionally dressed with antique furniture, soft hues and sink-into beds. With Snowdonia National Park on the doorstep this is the perfect rural escape. Country Escape - A luxurious country stay surrounding by beautiful countryside. Set amidst beautiful rolling woodlands, Penmaenuchaf Hall Hotel is a classy establishment. Whether you are in the region to fish or explore Snowdonia, the hotel offers great accommodation with comfortable rooms and an excellent restaurant. Great walks - Excellent walking routes in the surrounding Snowdonia National Park. Fishing - Excellent trout and salmon fishing on the nearby Wnion. Escape to this beautiful Grade II listed Georgian townhouse, in the remote market town of Dolgellau. 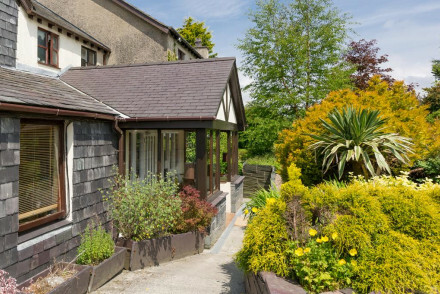 Set in a secluded garden, a stones throw from Snowdonia National Park, the three bedroom B&B is a perfect getaway for someone wishing to explore the magnificent sights and scenery of North Wales. A boutique country pub set in the picturesque Snowdonia village of Beddgelert. A handful of rooms are simple and chic with crisp white linen, patterned wallpaper and contemporary furniture. Hearty food is served in the restaurant alongside a choice selection of ales. Active Holiday - The nearby Snowdonia National Park offers a host of outdoor pursuits. 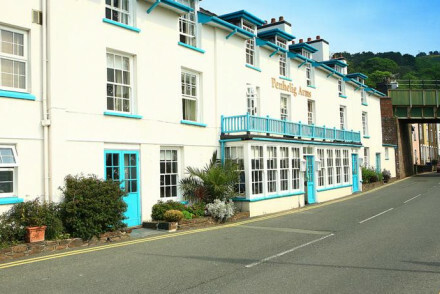 A picturesque waterfront hotel in the heart of Aberdovey, Gwynedd. The rooms marry original features with modern conveniences and wonderful sea views. There is a quaint on site bar with a cosy fireplace, and a restaurant serving locally sourced Welsh produce. Utterly charming. Active Holiday - Whether on land or at sea there are plenty of challenging activitites. Great walks - The Torrent Walk, Precipice Walk, New Precipice Walk and Panorama Walk provide plenty of contrasting country to explore. Sailing - Dovey Yacht Club offer a range of lessons for all levels. Views - Lovely views over the water and boats. A charming country house set in an astonishingly beautiful part of rural Wales. Four individually styled rooms are simple and cosy with sink-in-to beds, cosy fabrics and exposed stone walls. A sunny terrace offers a spot to admire the views and the snug lounge is ideal after a day spent outdoors. 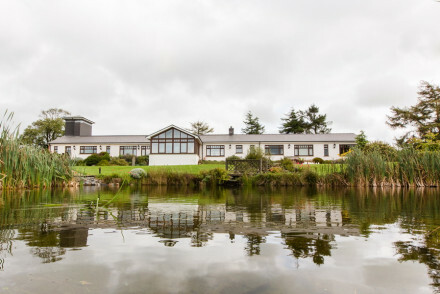 Country Escape - A quaint country house located near the beautiful Llyn Mwgngil lake. Great walks - Find endless options from gentle coastal strolls to mountain hikes. Sights nearby - Spend an afternoon exploring Powis Castle and Gardens. A charming hotel in a glorious part of Wales. Simply styled rooms feature floor to ceiling windows (to enjoy the garden views), soft hues and modern bathrooms. A fine-dining restaurant is worthy of a visit alone. With numerous outdoor pursuits in the area this is the perfect country escape. Local exploring - Perfectly situated between Snowdonia National Park, Caernarfon and Bangor making for easy local exploration. Sights nearby - Visit Caernarfon Castle, possibly the most famous of Wales’s castles. Combining a stunning location with an excellent hotel service, Porth Tocyn Hotel is a superb spot. Homely rooms, a great restaurant and lovely views all come together to create a stellar establishment on the Welsh coast. Surfing - Nearby beaches throw up good surf for those who want to suit up. Birdwatching - The nearby coastline is home to wide variety of seabirds. A romantic hideaway sat on the shores of the scenic lake Tal-y-llyn in the southern part of Snowdonia National Park. Traditional rooms are individually dressed with soft hues, fireplaces and the best has a four-poster bed. Bathrooms are spacious and contemporary. The perfect rural escape. 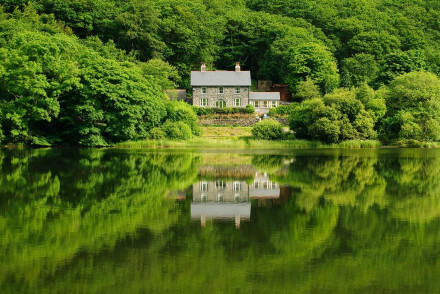 Back to Nature - Shrouded in thick forest and overlooking the stunning lake Tal-y-Llyn, a spectacular rural escape. A unique B&B and spa offering a spectacular setting and chic design. The comfortable rooms are light and airy with polished parquet floors and sink into beds. The restaurant serves local produce and fine wines. A sublime blend of the region's rustic ambience and modern comforts. 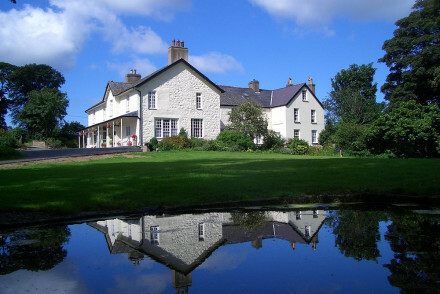 A fine old house steeped in character and history, set in beautiful 15 acre grounds between Snowdonia and the Irish Sea. Plas Dinas has a number of majestically decorated rooms and several dining options. This remote getaway is perfect for large groups looking for an active and luxurious weekend. Historic - Steeped in Royal History, Plas Dinas still retains many family portraits, memorabilia and original furniture. Golf - Caernarfon has its own 18 hole parkland course, with a 10% discount offered if you mention Plas Dinas. Fishing - Bala Lake, is the largest natural still water in North Wales, with the River Dee flowing through it. 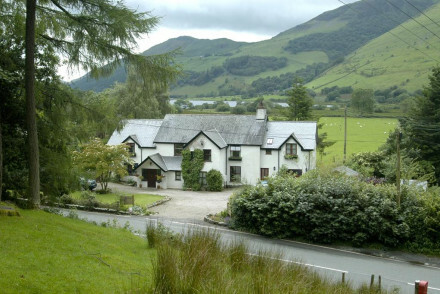 A smart small hotel boasting a fabulous location nestled at the foot of Cadair Idris Mountain. Individually styled rooms feature crisp white linen, exposed stone and simple contemporary furniture. An atmospheric bar and restaurant serves hearty food alongside a choice selection of ales. Active Holiday - Set at the foot of Cadair Idris Mountain and with Snowdonia National Park nearby there is a host of activities available. A boutique B&B with just five perfect rooms. Contemporary decoration with traditional features. 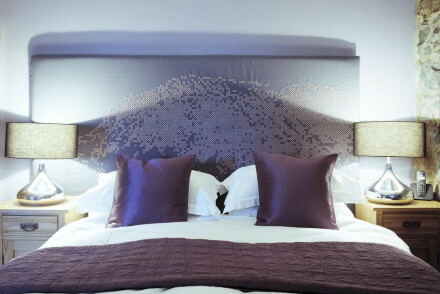 Crisp linen and comfortable beds with ornate headboards. A cosy lounge with an honesty bar and open fireplace awaits after a day outdoors. A stunning location ideal for discovering southern Snowdonia. Families - Ideal for families, with plenty of books, DVDs, games and activities plus kiddies menu and use of a of a Butler's Pantry. Romantic Break - Perfectly isolated, cosy rooms and an outdoor hot tub with champagne and strawberries to order. Great walks - Great hill walking on Cadr Idris or explore the magical Snowdonia National Park. Birdwatching - Bring your binoculars, the RSPB Coed Garth Gell reserve is close to the hotel. This eccentric resort was build by the architect Sir Clough Williams-Ellis to show how a naturally beautiful site could be developed without spoiling it. Hotel Portmeirion and Castell Deudraeth each have a unique design and give a fantastic opportunity to stay in this charming village and explore. Sights nearby - Portmeirion Village offers fantastic garden visits. Other Activities - Organic Spa Treatments at Castell Deudraeth. 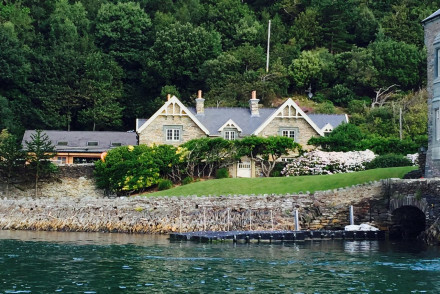 An enchanting Georgian Manor on the Lleyn Peninsula - an area of outstanding natural beauty. Eleven country-chic rooms offer understated elegance and comfort. The Michelin starred restaurant serves phenomenal locally sourced cuisine that never fails to set the taste buds alight! Country Escape - Set on six acres of beautiful gardens with a 200-year-old avenue of beech trees and surrounded by totally unspoilt countryside. Foodies - Chef and co-owner Chris produces sensational food from local, seasonal, sustainable produce- knockout stuff! Active Holiday - Within eight miles of the proerty you'll find shooting, fishing, sailing, kayking, go-karting and golfing. Great walks - Explore the Wales coastal path on the Llyn peninsula a designated heritage coast area of natural beauty. 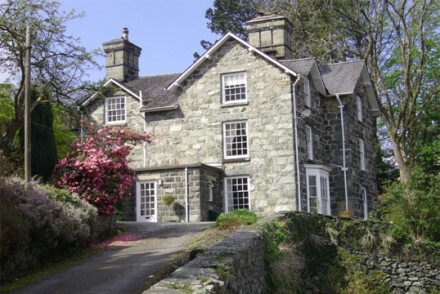 This historic Victorian manor house is situated next to Snowdonia National Park. Feel like royalty in their traditional, elegant rooms and suites. The cosy library is perfect spot for curling up with a good book after a day out trekking! Divine cuisine, gorgeous surroundings-a perfect retreat. Foodies - Palé Hall serves up exquisite cuisine and you can even book a private dinner and customise your menu with the chef! Great walks - Palé Hall's stunning surroundings mean there are plenty of fanstastic walks in every direction!